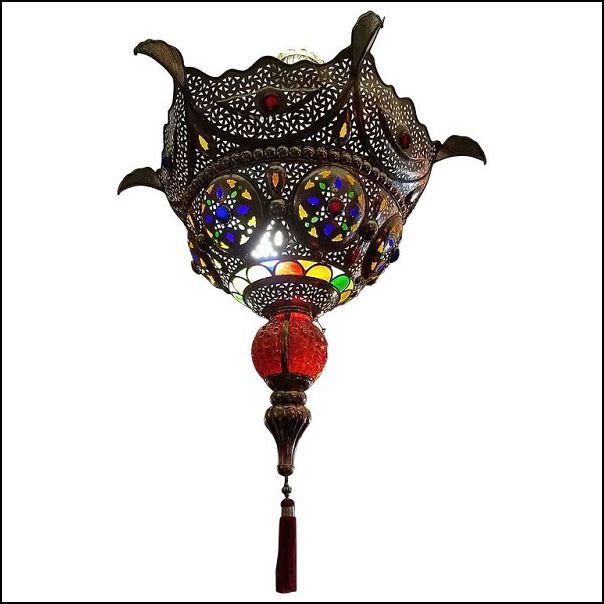 Extra large size exquisite Moroccan lantern made with white copper and adorned with small glass fragments in different colors. Amazing intricate motifs. This beautiful lamp measures approximately 27″ in width and 42″ in height (tussle included, otherwise, take out about 6 in). Such an elegant piece. Must see to appreciate. Please contact us for a shipping quote, for more pictures or if you have any questions.. .